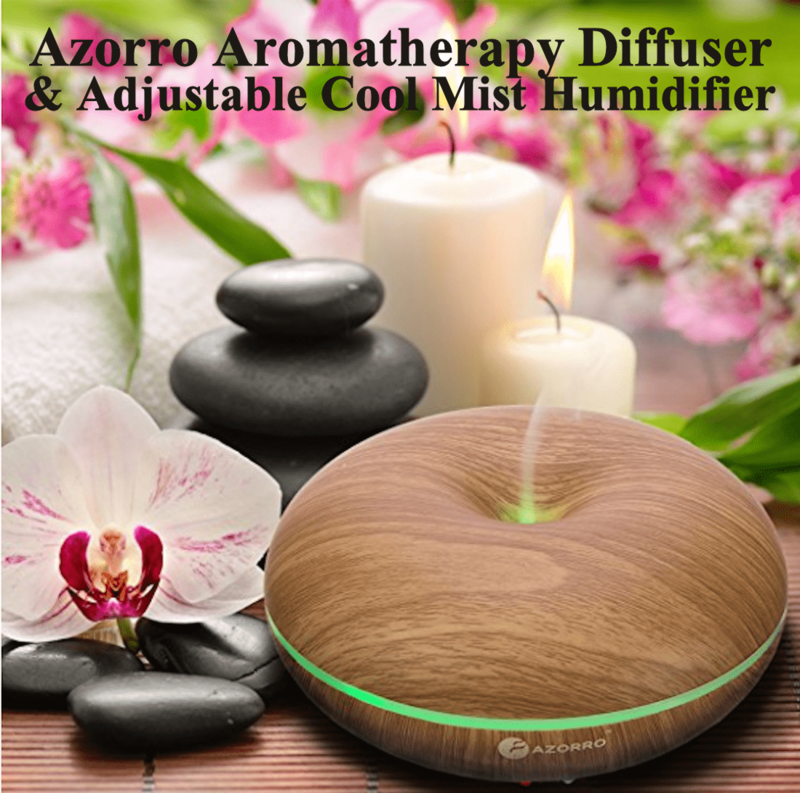 The Azorro Aromatherapy Diffuser is also a stylish cool mist humidifier which adds moisture to your air to relieve stress, eliminate dryness and helps with dry chapped lips, skin, and dry sinuses. I have this in my living room and I love it! It’s the perfect size for where I put it. I’m trying to decorate like living room designers do. 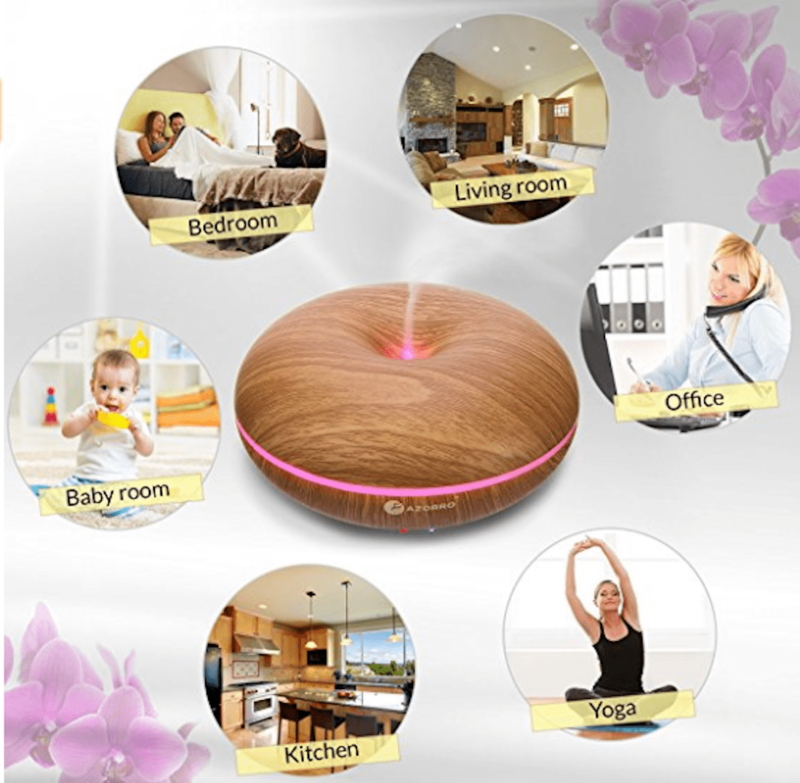 This Aromatherapy Diffuser has 6 in 1 FUNCTIONS: Aromatherapy Diffuser, Ultrasonic Humidifier, Air Purifier, Ionizer, Sterilizer, Night Light with Auto Shut Off feature. It also has 7 CALMING AND SOOTHING LIGHT COLORS, the lights can be turned off, set to fade gradually or can be set to a fixed color. About AUTO SHUT OFF – When water is running low, the diffuser will automatically shut off keeping your unit from being damaged. It helps prevent damage from second hand smoke, stale air and allergens. Adds a nice ambiance to the room, and helps keeps your house humid to help prevent colds/flu and congestion. Controls pet and animal odors. 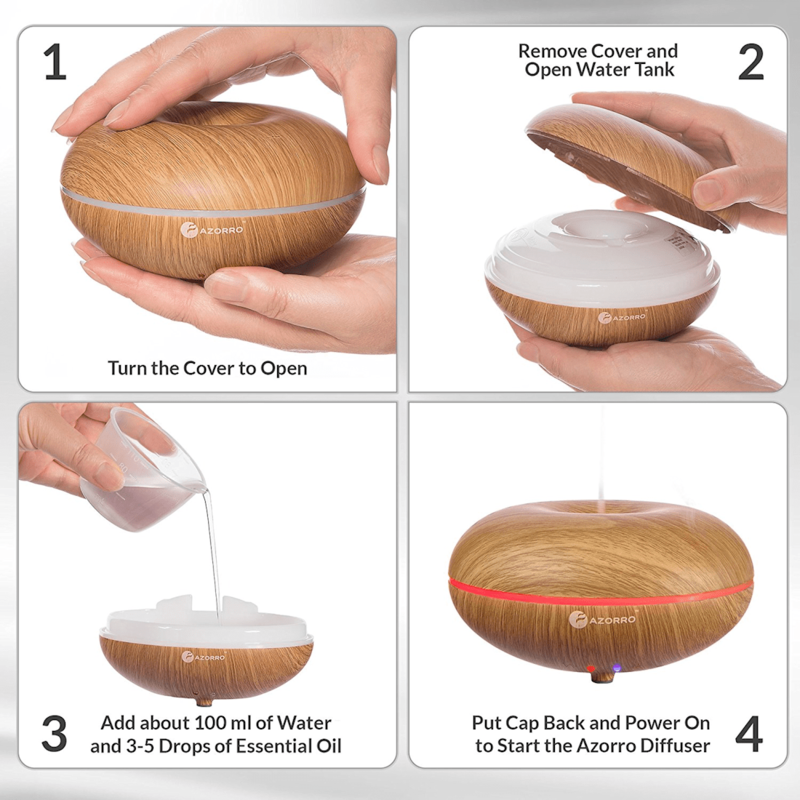 The Wood Grain Essential Oil Diffuser can be also used as a night-light! I love that is is portable, so you can use it in any room of your home, bring it to your spa, and more! To use you simply open it up, pour up to 100 ML of water, add 3 – 5 drops of essential oil, close it up, plug it in and turn it on. It’s as easy as that! 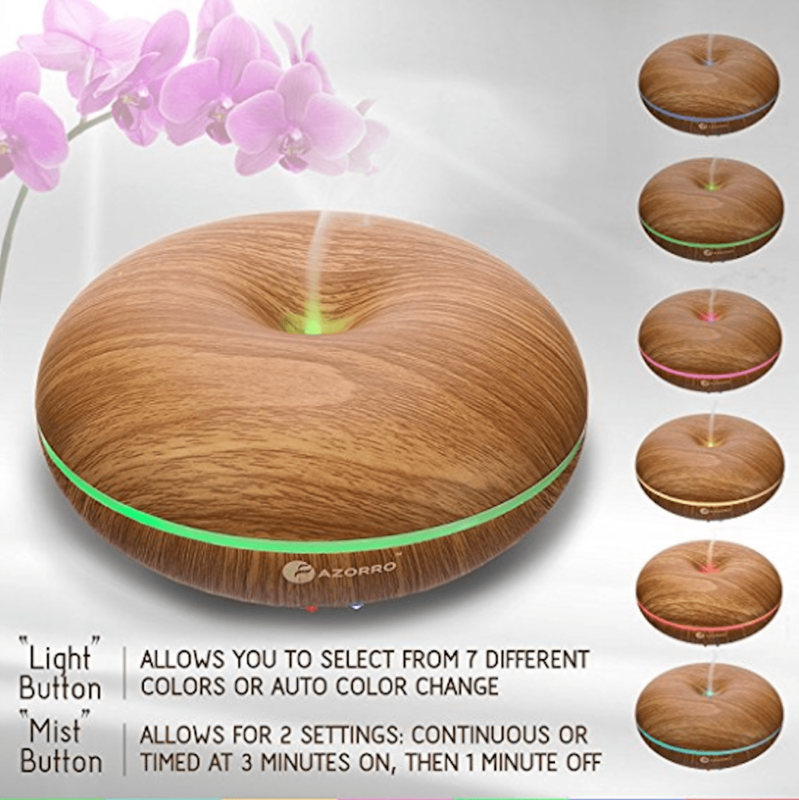 I have my Azorro aromatherapy diffuser plugged in right now with Lavender Oil in it. It smells awesome! My husband is suffering with headaches (we have had air quality alerts since Tuesday and that has triggered his headaches). Hoping the Lavender will help relax his head. Check out more gifts for mom mother’s day gift guide.